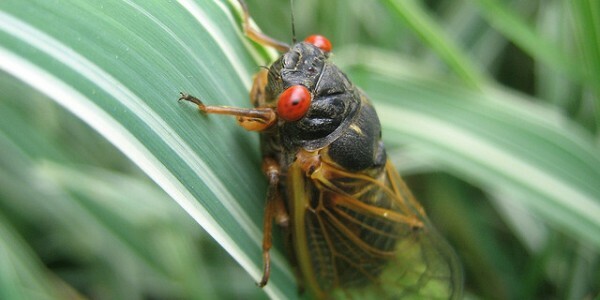 If you are like most people, you have been dreading the pending onslaught of cicadas. For months, news reports have been lamenting the eventual plague of cicadas which was to befall Northern Virginia. When the articles prophesied the cicada plague, they failed to mention that we are in the northern most reaches of Brood II territory. To view a map displaying Brood II’s territory, click here. As a landscape company, we obviously think about these types of issues in regards to how they will affect us and our customers. The cicada problem affects landscape companies in a few different ways. First, the obvious problem is that you have crews out building patios, cutting lawns, and installing plant material while actively dealing with the infestation. There’s nothing we as a company can do to get ready for that, other than to know that when the cicadas come, it will have some effect on our productivity. 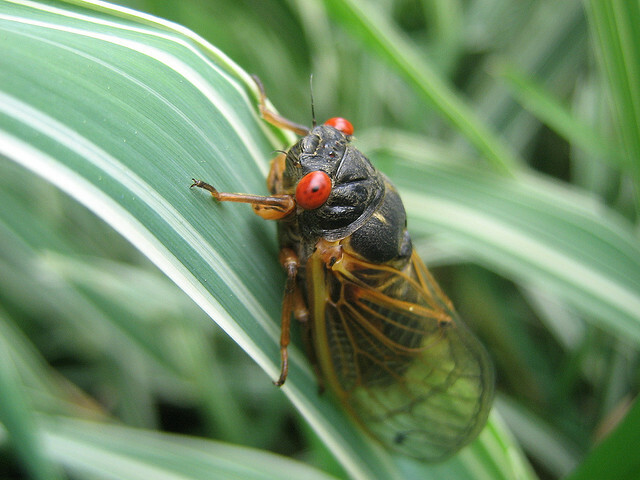 The not-so-obvious effect the cicada forecast has had on our business, is that we have had customers who have chosen to postpone planting jobs until the fall due to the fear that the cicada would adversely affect their new plant material. On the surface, this concern seems somewhat rational, but as you take a closer look, you’ll see that the delay may have caused more harm than good. First off, the cicadas do minimal damage to plant material. They don’t bother evergreens and for the most part they leave shrubs and perennials alone. They do, however, burrow their eggs into the terminal branches of deciduous trees. This has a marginally negative affect on small to mid-sized trees such as Dogwoods, River Birch, Eastern Red Bud and Crepe Myrtles. With the exception of the Dogwood, the rest of those plants have such high growth rates that the plant quickly outgrows what little damage was caused. The unforeseen problem that some homeowners will encounter that chose to delay planting, is that we will be getting the plants from a nursery which may have been affected by Brood II. So if we had purchase the plants in the spring and installed them, they would have summered safely here inside the Beltway, free from the effects of the cicadas. Now this fall, we will be buying plant material which was grown further south and will potentially have some of the tip damage associated with cicadas. If you were looking forward to the cicadas, just remember that good things come to those who wait. Northern Virginia, including McLean, North Arlington, Vienna and Great Falls, is well within the boundaries of Brood X which made it’s last appearance here in 2004, and will return in 2021.